Platinum Play Casino Review 2019 - Get C$1,500 FREE! Platinum Play online casino has been a part of the industry since early 2004. One of the few select casinos in the Fortune Lounge Group, Platinum Play is one of the most trusted names in online gambling. The full version of Platinum Play casino offers more than 400 casino games, including all of the most popular and a few of the hard-to-find gems that can't be found elsewhere. Players have a plethora of choices for games, payment processors, and even bonus opportunities, making Platinum Play online casino a fan favorite. The bonuses on Platinum Play casino begin as soon as a player chooses to open an account and register for the real money online casino. Bonuses are the name of the game, and Platinum Play online casino offers some of the best in the industry. The first thing that a new player will notice is the opportunity to receive 1,500 free bets. Clicking on the "Start Free Bets" button brings up the offerings and the qualifying games. Then play as much in one day as you can, and any winnings over that 1,500 allocated amount goes directly to the player as a bonus. Making a deposit and claiming winnings is possible after the 1,500 credits have been spent. New players from Canada also receive a deposit match bonus. Using the Platinum Play bonus code PP100FREE, players who deposit up to $200 are given matching funds that is a 100% match bonus. Even better, refer a friend to the casino and receive cold, hard cash for that referral. Promotions are an ongoing thing at Platinum Play, as being a customer automatically qualifies for receiving new promotions via the website and email. When there is something new, Canadian customers will be the first to know. Want more bonuses? Platinum Play Rewards is an amazing loyalty points program. Points can be redeemed for casino cash credits, and all players on the website can participate at no cost. Every bet on the slot games on the website earns one loyalty point, and every five credits at a table game earn one loyalty point. Every 1,000 points equals 1 cash credit, and a minimum of 5,000 points is required for redemption. Players can also climb tiers of loyalty, from Silver to Diamond and further, which offers extra bonuses depending on the tier reached. One of the favorite games of all online gamblers is Blackjack, or what used to be known simply as 21. Platinum Play casino offers everything from Single-hand Blackjack to Multi-hand Blackjack, and even the Gold Series Blackjack. In addition, there are a number of variations among them, including Atlantic City, Vegas Downtown, Vegas Strip, Spanish Blackjack, and European Blackjack. The plethora of other online casino games has something for everyone. Online slots are always popular, and Platinum Play online casino has your choice of reel slots, fruit slots, MegaSpin slots, and video slots. Pull the virtual lever or hit the "spin" button and go for the big progressives and other jackpots. Canadian gamblers are warmly welcomed by Platinum Play Casino and they will love the wide assortment of slots, including table games like roulette and blackjack. Video poker is also popular, and Platinum Play casino offers single-hand video poker as well as the 'power' version with the option of playing multiple hands at a time. Games like Jacks or Better and Joker Poker are only a few of the options that await video poker enthusiasts. There are also plenty of table games. In addition to the aforementioned, Blackjack, Baccarat and Craps are available, as is Roulette, the latter offering American with double zero and European with only the single zero pocket. The fun also extends to parlour games like Keno and scratch cards. Keep an eye open for progressive games, as the jackpots continue to grow all the time and offer potentially life-changing money. Those games include King Cashalot, Mega Moolah, Major Millions, Roulette Royale, and Cyberstud Poker. 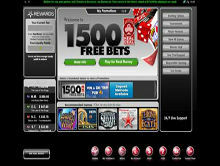 The security aspects of Platinum Play online casino are of the utmost importance to the site and its parent company. To ensure the safety of every customer's private information and account numbers, they use 128-bit SSL Digital Encryption for protection. The software used is also monitored by Risk Sentinel, a top notch fraud management system that ensures player protection from fraud. Privacy and security are guaranteed. Platinum Play casino promises not to sell or give away any personal information and reserve personal details of your account to only you. The customer also has the right to request removal from their database at any time. Platinum Play casino is fully licensed by the Lotteries and Gaming Authority of Malta, one of the leading commissions in the world. The LGA verifies on a regular basis and independently that Platinum Play complies with the industry's top security standards and operational infrastructure. In addition, the site has the eCOGRA seal of approval, meaning that the site is official deemed "Safe and Fair" by the auditors to treat customers fairly and in an unbiased manner. The support team at Platinum Play online casino is available in some way 24 hours a day, seven days a week, 365 days a year. Though some of the eight languages are only available at certain hours of the day, English operators are on constant call. Canadian customers can also reach assistance via live chat on the website, email, or Skype. As a part of the industry for more than a decade, Platinum Play Casino is a trusted name in online gambling and offers Canadians more than 400 games to choose from in an amazing entertaining experience. But where do you get started in this amazing site? Learn the ins and outs of online gambling at Platinum Play Casino here with answers to our players' frequently asked questions. Absolutely! Canadians are welcome to play all the games at Platinum Play Casino. Platinum Play Casino offers a variety of single-deck and multi-hand blackjack games, as well as gold series games. And if you're not in the mood for classic blackjack, you'll also find fun varieties like Vegas Downtown, Vegas Strip, Spanish blackjack, European blackjack and Atlantic City. Can I play other games? Definitely! Choose from tons of popular games at Platinum Play Casino, including craps, baccarat, roulette, Keno, video and fruit slots, craps, video poker, and more. What deposit methods do they accept? You can use Visa, VisaDebit, MasterCard, Click2Pay, ClickandBuy, eCheck, InstaDebit, Skrill and UseMyBank to make deposits on Platinum Play Casino. Platinum Play ensures the safety of customers' private information using 128-bit SSL Digital Encryption with software monitored by a top-notch fraud management system. Additionally, the casino doesn't sell or give away any personal information, making your information safe no matter how long you play. Visit Platinum Play Now to Get Your $1700 FREE Bonus!